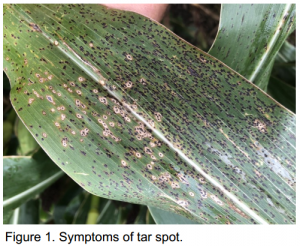 Tar spot is a relatively new disease to the United States and is not known to cause economic damage. A disease complex is formed when tar spot is present with another disease (Monographella maydis). As a result, yield loss may occur. Sending samples to a laboratory can confirm the presence of tar spot.